It’s unusual to have anyone aside from the nominee testify at a confirmation hearing. Senate Republicans are considering asking Bill Clinton to testify at his wife’s confirmation hearing about potential conflicts of interest involving his worldwide charitable enterprises. While spouses frequently attend nominees’ confirmation hearings, they are usually there for moral support and window dressing — a sympathetic face in the row of seats behind the witness table. Indeed, it’s unusual to have anyone aside from the nominee testify at a confirmation hearing. But there’s nothing usual about Bill and Hillary Rodham Clinton, and some Senate Republicans may relish the thought of putting Washington’s ultimate power couple though the wringer before the Senate Foreign Relations Committee next month. 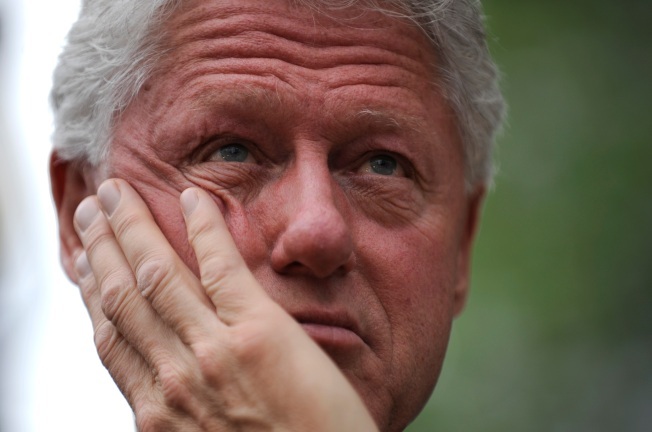 One of the Republicans most concerned about Bill Clinton’s role is Sen. David Vitter (R-La.). Democratic aides say the former president has already resolved any conflict-of-interest issues by agreeing to forgo fundraising from foreign governments. If Republican senators have questions about the arrangement, the Democratic aides say, those questions could be “handled in private” — before the confirmation hearing begins — or during the questioning of Hillary Clinton herself. A spokesman for the former president had no comment. Hillary Clinton is making the rounds this week, meeting with members of the committee. She could satisfy Republican concerns about her husband’s arrangements during those sessions. Even if she doesn’t, one GOP aide acknowledged that Republican senators probably wouldn’t go to the mat over an appearance by the former president.